You already know that heating your homes water make up a larger percentage of your monthly energy costs; this is even more true if you own a pool – but it doesn’t have to be! The whole family loves getting together around the pool when the weather is nice, so just imagine how much they will love it when they can swim comfortably any time of year. Solar Thermal and the combined renewable technologies of our green energy partners provide clean, efficient, and reliable systems to help you cut your energy costs. In the case of pools, the pool filtration and pump system circulates water from the pool through the solar collector. Temperature sensors detect any change in water temperature and relays the information to a control valve, which then diverts or channels the pool water to the collectors, depending on the desired temperature. This isn’t just for the kiddie ponds either – this technology is especially helpful in reducing costs on larger pools where manual adjustment of temperatures can be inefficient – so hotels, resorts, and apartments are prime applications for this solution. Best of all? 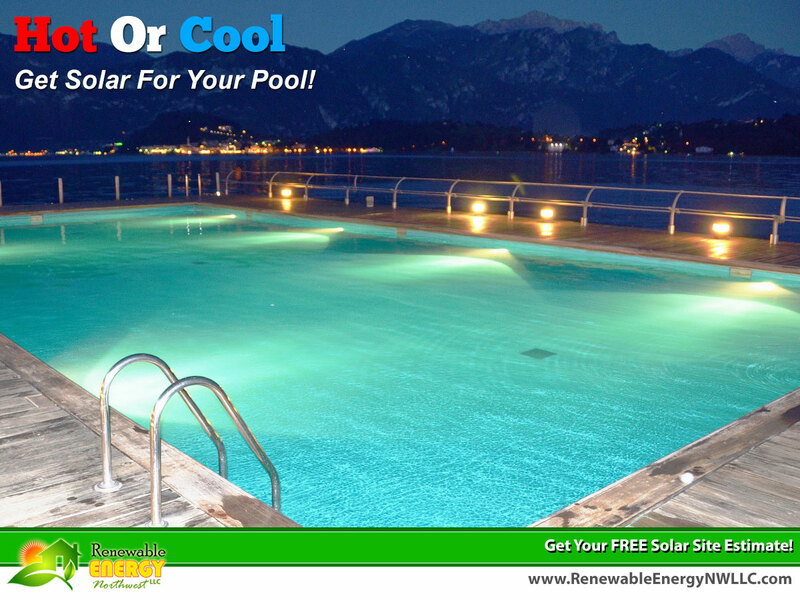 Solar technology does more than just regulate your pool temperature – it’s a whole home energy solution! Beyond just regulating pool temperature, or creating snow-free walkways, solar thermal can provide hot water for your entire house at a fraction of the cost of traditional water heating for years to come. Contact us today for your FREE solar site estimate!